What's Up With The Odd-Looking Tower On 51st Street? 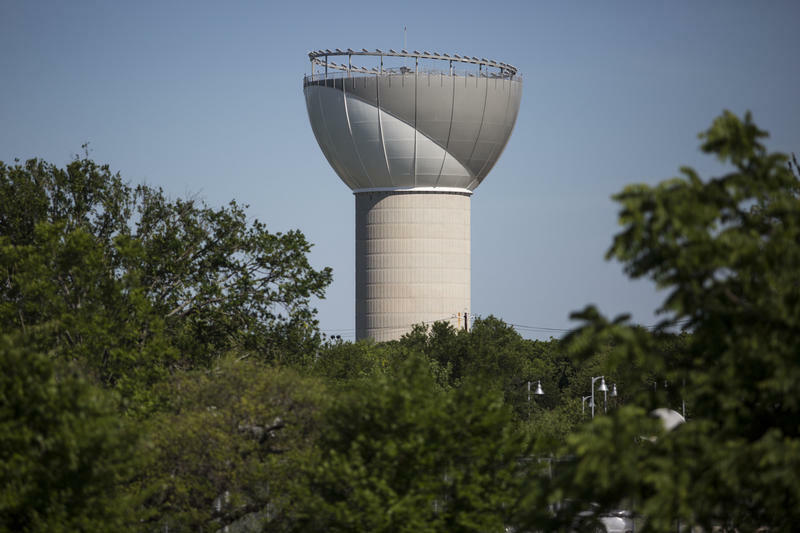 Anyone looking down while flying in or out of Austin has likely seen the odd tower with a bowl-shaped top and uneven paint job rising above the Mueller neighborhood. The landmark puzzled KUT listener Ryan Ellerd Jones, so he asked about it for our ATXplained series.